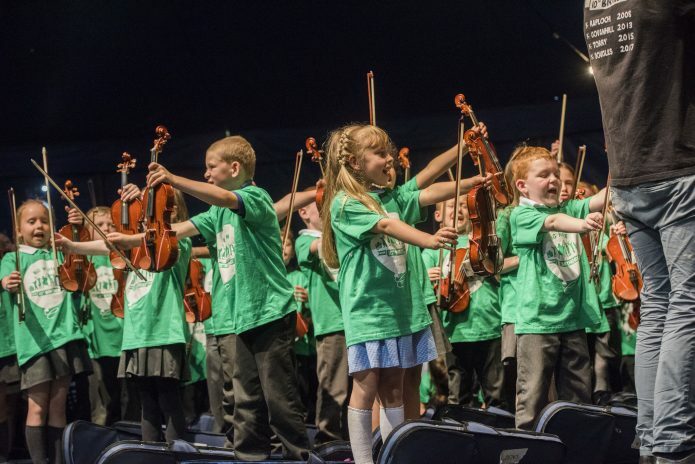 Revolutionary youth orchestra Tinderbox collaborate with the incredible Sistema Scotland Big Noise Douglas Project – a charity that aims to transform the lives of children through music and strengthen disadvantaged communities. Taking inspiration from video games music, Tinderbox and Big Noise Douglas will improvise a new collaborative score. They will also be treating us to musical performances from their individual repertoires. Big Noise Douglas works with over 400 children in Dundee, and around 2,500 children across Scotland every week, towards permanent social change. A free event – more details here. It is good to see a new church initiative being launched earlier this month at St Peter’s Free Church Offices, where a Christians Against Poverty (CAP) Centre has been opened to serve the whole of the city. Initially, 4 Churches are combining together to make this happen – St Peter’s Free Church; Grace Church (Menzieshill); Hermon Evangelical Church (Hilltown) and Broughty Ferry Baptist Church. 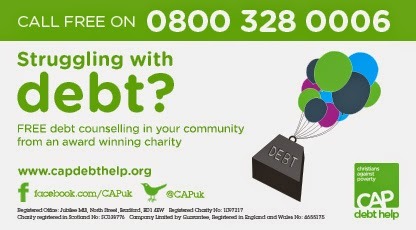 Acting in a voluntary capacity, the local CAP Team will be available to befriend and offer direct practical support to people with debt problems. 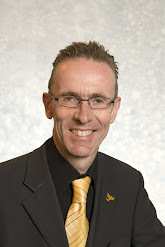 The primary service is to assist them to manage and overcome their debt burden using the free expert resources of the CAP Financial Teams in Bradford. Full details of the work of CAP can be seen here and more information is available by calling 0800 328 0006. The new service is a great addition to the other services in Dundee that are offering debt help and will complement and enhance the overall provision of assistance available to Dundee folk. It will also be providing CAP Money Courses to help anybody with budgeting and personal money management. Some years ago, I had a very useful meeting with Dr MacCowan of the Ryehill Health Centre and with the then Head of Environmental Management at NHS Tayside, regarding the health centre’s car park (see below). The meeting resulted in a helpful arrangement where, although the car park is rightly barriered during health centre opening times to ensure it can only be used by patients and staff, the barriers are left up in the evenings and at weekends – a great help to local residents and parishioners of St Peter’s Free Church in an area of the West End where parking can be a real difficulty. Following concerns raised with me recently that the NHS may be reviewing this arrangement, I contacted both Dr MacCowan and NHS Management and I am pleased to say that the arrangement will continue. 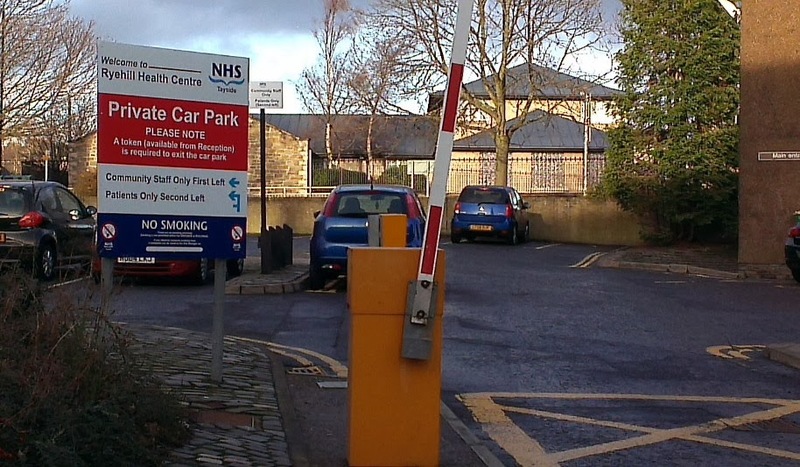 NHS Tayside’s Support Services Manager has advised that although a new barrier is in place, it will be programmed to be left in the raised position during times the centre is closed. I am very grateful to Dr MacCowan and NHS Tayside for the very prompt response to my enquiry on this matter. Fantastic end to the West End Christmas Fortnight! Yesterday afternoon saw a super finale to West End Christmas Fortnight with the St Peter’s Free Church Christmas Fayre – see right – and, also at the church, the Friends of the University of Dundee Botanic Garden held a very interesting, informative – but above all – entertaining Gardeners’ Question Time. Many thanks to John Stoa, Andrew Child and Alan Ainsworth for giving their expert advice on gardening matters – just like the similar event run as part of our 2010 West End Christmas events, it was thoroughly professional and enjoyable event. 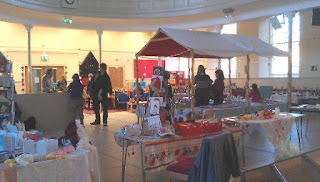 We have had a great fortnight of Christmas events across the West End! I’d really like to thank everyone who has helped us run all our activities. Back in 2001, we ran the then “Perth Road Christmas Week” as a ‘one-off’ and here we are, 12 years of events later bigger and better than ever. As the Christmas Committee’s Chair, I am so very grateful to everyone – the team who organise the events, the businesses whose sponsorship makes it all possible and all the local residents who attend the activities. Many thanks to you all – and have a lovely Christmas when it comes! Yesterday, I had the pleasure of meeting with a representative of Balgay Parish Church and – later – the Minister of St Peter’s Free Church, to discuss church and community issues. Thereafter, I chaired the latest meeting of the West End Christmas Week committee (yes, Christmas Week planning in June! It takes a bit of planning to organise the West End Christmas events!) The big news is that the 12th West End Christmas Week will be the first West End Christmas Fortnight – starting on 17th November and ending on 1st December. 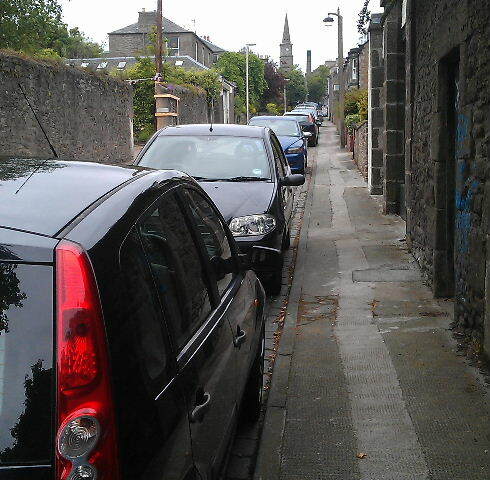 I also met with residents in Thomson Street (see right) – along with Tayside Police and Home Scotland representatives – to discuss parking and road safety issues. Yesterday evening, I also held my weekly surgery at Blackness Primary School. or told yourself: “It’s probably nothing, I don’t need to worry about them”. Come and see what Mary from Dundee does and who to call if you decide to “get involved” after all. Age limit 15 years or over. Download the full flyer here!